New Zealand country pop singer/songwriter Kaylee Bell has had quite the impressive career so far. Having toured with major artists such as Dixie Chicks and Keith Urban; getting 1 million streams in three months on her single One More Shot; performing We Were Us with Keith Urban on his live tour, writing with C2C favourite Morgan Evans; it was only a matter of time before C2C Festival stepped in and said “You’re coming to England”. Kaylee Bell recently won the 2018 US Unsigned Only Country Section from over 6000 songs. 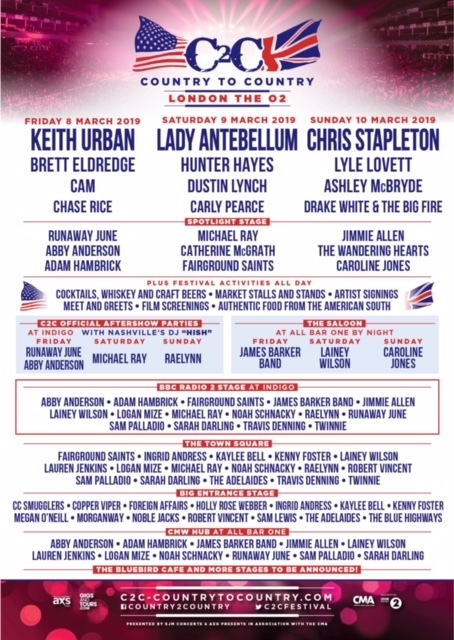 With a new single Keith to be released this Friday (February 15th) and an album later this year, Kaylee is an exciting addition to this years Country 2 Country line up and it is exciting to see more international artists on the bill. Kaylee has some awesome tunes out already so do check them out and make sure you catch one of her sets across the festival weekend. Line up at bottom of the article with timings to released at a later date. 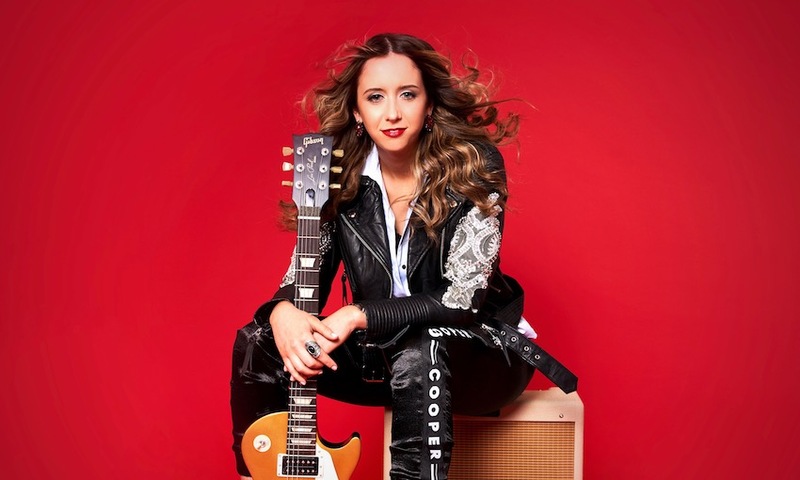 We caught up with Kaylee to discuss playing C2C Festival, what it was like to tour with C2C 2019 headliner Keith Urban, writing with Morgan Evans, her music and more. Hi Kaylee – How are you? How has your week been? Tell us a little bit about where you are from? I am from Waimate , a small country town from the middle of the South Island in New Zealand. It’s a beautiful spot to have grown up !! What is your background and what made you decide a career in country music? I started singing country music when I was 4 with my older brother and sister. I competed in CM awards all around NZ till I won the NZ Gold Guitar at the age of 18 that took me to Tamworth CM Festival in Australia for the first time and I knew from then I wanted to make this a full time thing. Tell us about the song Who I Am – is it biographical? The lyrics make it seem so. Would love to have an insight to the song please. WHO I AM is a song I wrote about where I am from. I grew up in a small town with an incredible bunch of friends and the thing I love about small towns is that they give you a really strong sense of home and I love going home to see my folks who still live there and going to the supermarket etc and seeing people you know. Its a special thing!! When you do go back to your hometown, what do you often do and do people treat you differently? Usually I go home to visit my family and I still have the same best friends since I was at kindy there we catch up as though we haven’t been away and I love that about going back. Living in a small town did you ever feel like you just didn’t belong and needed something more, was it always that way or did you ever have another career in mind? The thing about small towns is that you get the chance to try everything as a kid because you a re usually trying to make up numbers for teams etc, so I always played alot of sports like netball, basketball, touch , tennis and athletics and competed in this through all my schooling. I always thought I might pursue basketball and go to the states , but music was always the winner. I also always had a strong desire to want to get out into the world and travel and learn and share my love of music and writing songs with the world. Country music in Australia is pretty big but I am not so aware of its popularity in New Zealand– tell us about some of the thriving places for country music there and festivals etc? CM in NZ is growing slowly, it is largely a population thing but the South Island is very up to date with whats current in Nashville and we have a big CM festival over New Years in Wanaka NZ (a gorgeous spot) that is solely country muisc and has bands from Australia come to play and is becoming a really awesome event. Who are some of your favourite New Zealand country artists? Alot of females are forging the way right now, Tami Nielson, Jenny Mitchell, Jody Direen, Jamie McDell and then there was Suzanne Prentice and Patsy Rigger growing up. Winning Toyota Star Maker in Australia in 2013…. it opened doors and my eyes to what it was going to take. You toured with Keith Urban and got to perform his single We Were Us on his Australian leg of the the tour – what was that like? AMAZING. He is the most talented person and nicest guy and I feel fortunate to have been in his company! Keith will also be at C2C which you know so will we get a collaboration there at all? Fingers crossed. LOVE TO ha youll have to spread the word!! Does he give you any advice or feedback? Keiths the type of guy that doesnt need to give advice and you learn from being in his presence and watching him. He is a massive inspiration the way he conducts himself. You clearly respect him as have a single dedicated to him. Tell us about that song and where you were when you wrote it, how it came to be? Yeah of course, the song was never something I purposely thought “im going to write a song about keith Urabn”…the idea actually came to me in the middle of the night and I left it on my phone for over a year before I had the courage to take it to a co write and write it…I took it to a write with my producer Lindsay Rimes and Phil Barton in Nashville who are my friends and I trust and threw the idea out there (for better or worse ha) and the song just came very naturally and felt so good from the get go….was an awesome writing day!! Has he heard it? If so, what did he say? You are coming to C2C in March which is so exciting. What made you decide that this was the year to come over? I got asked to play ha but i have wanted to come for so long, I have never been to London and watch this festival with FOMO every year! What have you heard about UK audiences and have any fellow artists given you a heads up? If so, who? Not alot, so can’t wait to meet them and find out!! Have you been to the UK before, even as a holiday? What can we expect from your sets during C2C? How dependent on country radio are artists in New Zealand? Is it as fierce as it is in the states and do women in country music face the same or similar issues? Tell us about the song Getting Closer, what was the writing process, idea behind the song and what is it like to work with Morgan Evans? I have known Morgan a long time as I lived in Australia and used to open for his tours and just can’t speak highly enough of him and his success. The song was the most satisfying song to write as it was a true story of a toxic relationship I had been in and Morgan knew the guy, so it really was an easy write. You spend a lot of time in Nashville writing, how does the writing community differ from where you are? I can assume there is a lot more of a community in Nashville? I love the writing community in Nashville more than anything, its a special thing!! A) Learned and taken on board- always learning!!! No two writes are the same!! B) Treasured moments, whether that be fun, emotional or anything- just meeting other writers and sharing deep and personal stories with strangers is a crazy and cool thing and my favourite thing is that often you go to a write and you walk into a room not knowing anyone and with just an empty sheet of paper and you leave with new friends and a song, something that you created that wasn’t there at the start of the day…i would call that a day well spent!!! Your single One More Shot has done incredibly well having one million plays in three months and having reached the top 50 Radio Disney Country US Charts. That must feel pretty incredible? It really does, knowing people are listening is everything…especially with very little radio support in NZ , I love seeing the numbers climb on Spotify and knowing people connect!! What has been your most personal song to write and why? Getting Closer- was my therapy writing song and helped get through the toughest time of my life. After being in a toxic relationship you lose alot of who you are and this song started to put the pieces back together for me and bought me back to life through the process of writing and releasing it and having people react the way they did. Is there a song you struggle to get through on stage emotionally at all? Whether that be in a good way or bad? Who I am – every now and then as I love my family and home town and this song really takes me back there!! Maren Morris, Kelsea Ballerini or Keith Urban. Is there a country song that you wish you had written? SO Many !! !Jesus take the wheel… House that built me…the list goes on!! You are releasing a new album I believe? What can you tell us about it? Thanks so much for taking the time to do this, I really appreciate it and look forward to seeing you in March. The Shires to headline Larmer Tree Festival in Dorset. Also playing is Jade Bird, Worry Dolls and more.